RAID Controller PERC H730 RAID Controller, 1GB NV Cache supporting RAID Level 0,1,5, 6, 10, 50, 60. 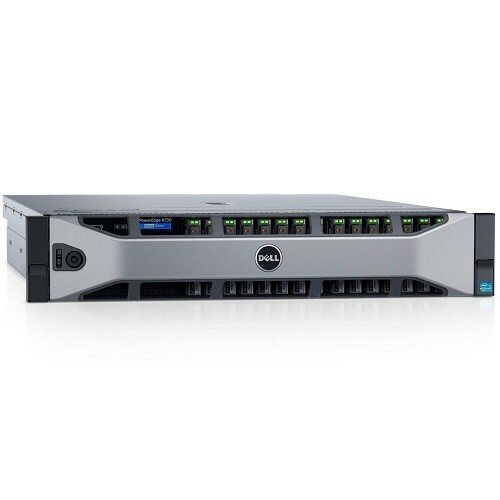 Dell EMC PowerEdge R730 Processor 1 x Intel Xeon E5-2620 v4, 2.1GHz,20M Cache,8Core With 16GB Memory DDR4, RDIMM, 2400MT/s, Dual Rank, x8 Data Width , 24 DIMM Slots, supports up to 3TB. It Contains 2 x 600GB 15K RPM SAS 2.5in 512e Hot-plug Hard Drive and PERC H730 RAID Controller, 1GB NV Cache supporting RAID Level 0,1,5, 6, 10, 50, 60. 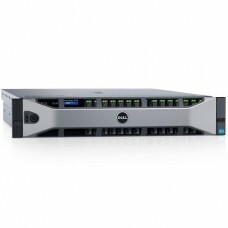 It has also SATA DVD + / - RW Drive (Factory-Fitted), Video Card 2D Matrox G200 with 16MB Cache , High Output Power Supply 2 PSU x 750W Redundant, hot-plug,I/O Slots Up to 7 x PCIe 3.0 plus dedicated PERC slot and 2U rack able. ReadyRails™ Sliding Rails With Cable Management Arm.